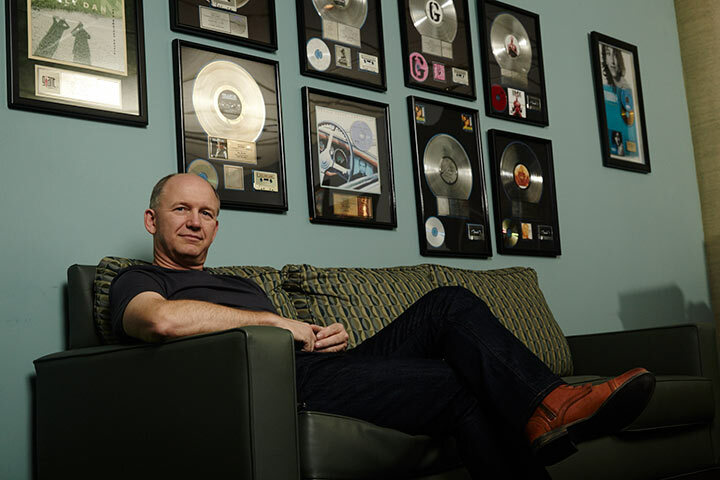 Scott Hull is a world-renowned mastering engineer and owner of Masterdisk, the country's number one mastering facility. Scott’s mastering expertise runs the gamut of modern recorded music. Equally accomplished in pop, rock, avant-garde, soundtracks, world, jazz, soul and many other areas of music, Scott is one of the most sought after mastering engineers in the industry. Scott is also an expert on mastering for vinyl. Recent Masterdisk Vinyl clients include Donald Fagen, Glen Frey, Taylor Swift, Celine Dion, Rush, Beastie Boys and Rage Against The Machine. Under Scott's direction, Masterdisk has engineered top-selling albums by artists including Bruce Springsteen, Nirvana, Kid Rock, Steely Dan, Madonna, Whitney Houston, John Mayer, Smashing Pumpkins, The Rolling Stones, Jay-Z, Pearl Jam, The White Stripes, Santana, Phil Collins, Lenny Kravitz, the Beastie Boys, Elvis Costello, Aerosmith, AC/DC, Public Enemy, Prince, The Who, Talking Heads, and David Bowie.